Cherokee is a 15.2 unusually naturally marked Irish Draught cross Standardbred, now 12 years old. 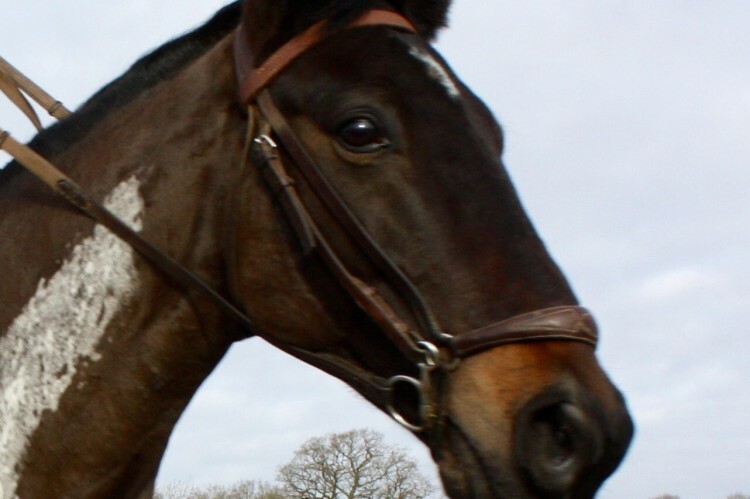 This horse has tried many different disciplines in the past including driving and polo but these never quite worked out due to his unique ability to coordinate his legs in fantastic combinations. With his career on a downward spiral Cherokee found his forte on the skill-at-arms field. He now takes part in many riding club activities and has performed at the battle proms and many other skill-at-arms competitions and displays. Among his more quirky habits he has a passion for candy floss, orange ice-lollies, can make himself at home anywhere and simply loves to travel.